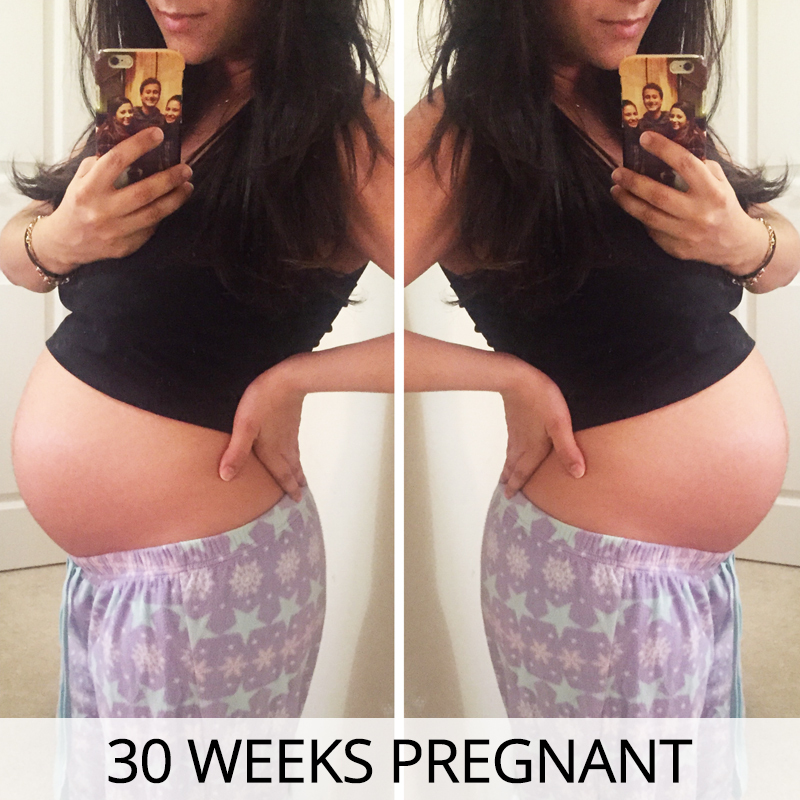 We’ve hit the 30 weeks milestone – hooray! I can’t believe I’m 30 weeks pregnant, and only have less than 10 weeks to go – it seems like it was yesterday I was impatiently waiting for my first scan at 6 weeks, and now it seems most weeks roll into one big month, so this update will be my 29 and 30 weeks of pregnancy. These past couple of weeks have been a bit up and down, but today I feel really well and I’m learning to appreciate these moments, as I never know when I’ll have a particularly challenging day. Being pregnant is definitely not a walk in the park, and although the outcome is the amazing creation of a new life, getting there is not as straightforward as I imagined it would be. 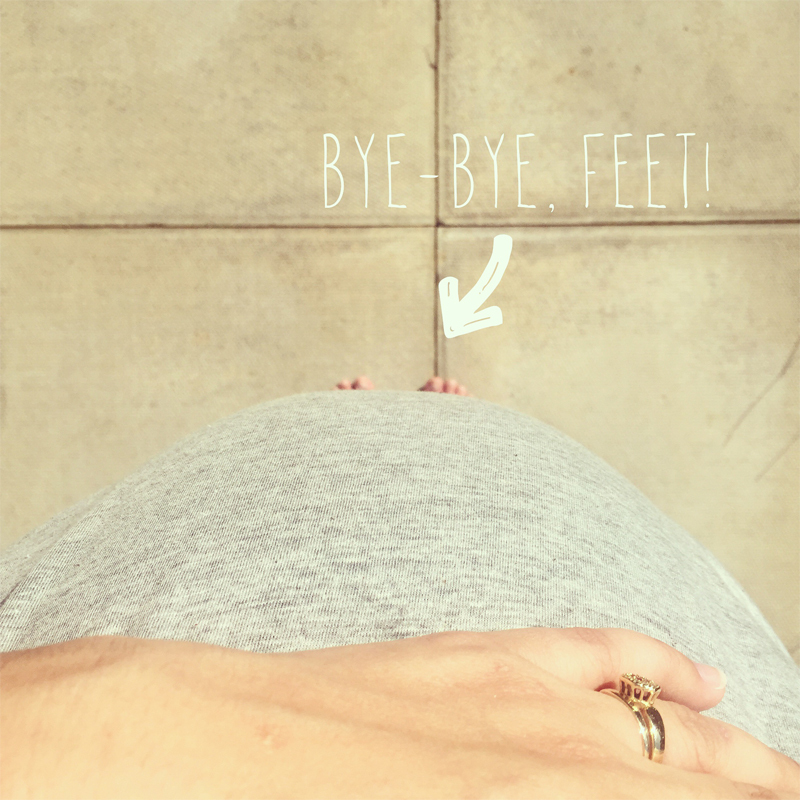 Let’s get to the 29 & 30 weeks pregnancy update! Total weight gain: About 15lbs/ 1st/ 6.8kg, which seems like quite a big jump from my last update, but I am aware that baby is getting to the stage where is packing on some fat, and getting those chubby cheeks ready for birth! I do feel huge, though, and my belly looks very round now. I literally cannot stare at my face in the mirror for too long without feeling a bit self-conscious of my double chin and wider-looking nose. My hands and feet have also been quite swollen, and my husband has even told me my fingers look like little sausages – cheers, darling! Maternity clothes? None for the last 2 weeks. I’m running quite low on things that fit me comfortably, so I might have to go shopping soon. On week 29, I realised I couldn’t close any of my coats or cardigans anymore, which is a bit of a problem, as it’s not warm enough in the UK to be without a coat, but at the same time, I only have 2 months to go, so I didn’t want to invest in a coat at this point. Stretch marks? The same one under my left breast – I’m now sure it’s a stretch mark. Damn! Sleep: Back to not getting much sleep, mainly because I’ve been working on my laptop until very late, especially during the rebranding of my blog, so when it comes to bedtime, my brain is very active and I find it difficult to switch off. Best moment this week: On week 29 I had a lovely day out and about in town shopping for makeup and some baby stuff, and on week 30 my husband and I went to Birmingham for day trip, and we really enjoyed our short & sweet getaway. Movement: Yes! And now I also feel his hiccups, which is just the cutest thing ever! I didn’t know how I was going to differentiate between a kick and a hiccup, but you can definitely tell by the repetitive pattern of a hiccup, as opposed to the more random nature of the kicks. Also, hiccups are far more subtle than a kick or a punch. The hubby loves to feel him when his is hiccuping – bless! Food cravings: Nothing at all. Still on my ‘heartburn diet’, so I’ve been continuing to eat very bland foods in order to avoid feeling rubbish after meals. Labour signs: No, but Braxton Hicks are back! Symptoms: Nausea, acid reflux, Braxton Hicks, lower back pain, tiredness and very out of breath. I had a couple of scary moments where I felt so out of breath that I thought I was going to faint – the first time I was out shopping with my husband and I had to tell him I needed to sit down and drink some water. The second time happened a little after I had finished tidying up the kitchen and our bedroom; my heart started beating really fast and I felt out of breath, so I went back to bed and rested for a few hours. I think it’s very important to listen your body and take it easy when you feel like something is not right. I’ll definitely mention these two episodes to my midwife next week, but I’m sure it’s normal now that baby is taking up a lot more room and squashing everything else inside! Belly button in or out? It’s quite strange – some days it looks like it’s ready to burst, then it goes slightly back in. I don’t know if it will ever come fully out, but it’s kind of on the surface now. Happy or moody most of the time: A mixture of both. 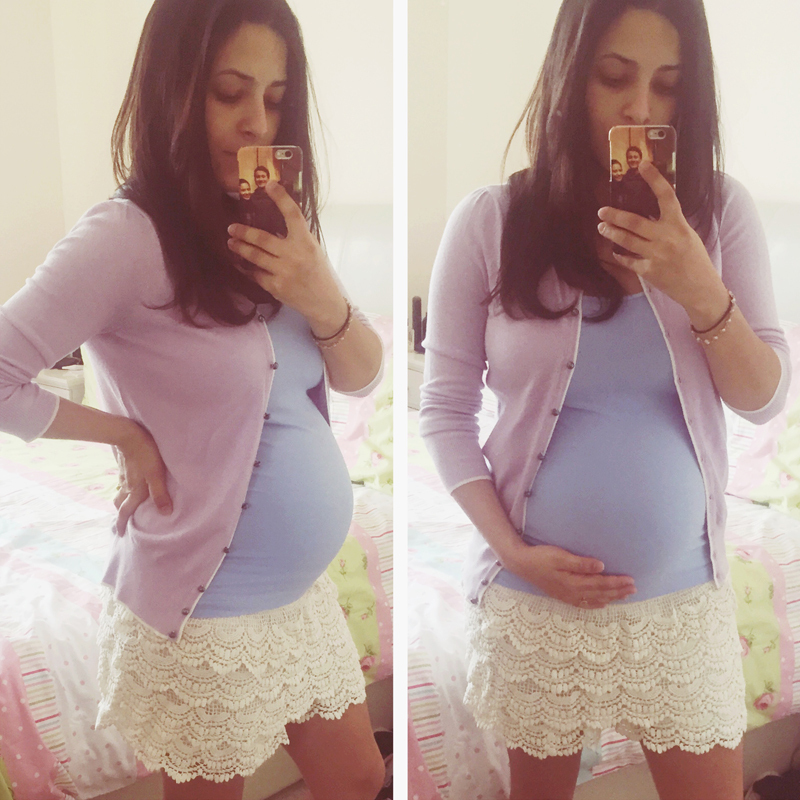 On week 29 I was quite moody because I had lots of days where I didn’t feel too comfortable and had to deal with lots of heartburn and nausea. On week 30, I’ve felt much happier and generally dealt really well with my symptoms; I guess that’s what pregnancy is all about!